The evolutionary process from one-celled sea creatures to Hugh Jackman with his shirt off has involved hundreds of trillions of cell-splits and adaptations, per person. We are a marvel of rational development and intellectual intricacy…except on Black Friday. On Thursday we break bread and talk about what “really matters”, and give thanks. The next morning we become unruly messes, many steps below the animals we were halfway through the evolutionary process. We’re maniacs, charging the front doors of the mall in search of the One Instant Pot to Rule Them All. We should be ashamed of ourselves, and we would be if not for the outrageous doorbuster buy we scored at Kohls. Ah, Black Friday. The day retailers anticipate with end-of-year deals on pretty-good-but-not-the-best stuff, and consumers prepare for with sharpened elbows and new track shoes. Gildshire put together some of our favorite Black Friday stories. All of these are true, and we have the video evidence and police reports to back them up. A shopper carried a 47″ flat-screen TV to the counter. Immediately, the cashier was suspicious, because there was a sign clearly stating that the customer was to bring an order card from the electronics section so his purchase could be confirmed and a runner dispatched to transport the television to the customer’s car. The cashier was even more suspicious when the TV scanned a price of $20.00! He told the customer this could not be the correct price, Black Friday or no Black Friday. The customer stood his ground. Finally, the cashier noticed that the barcode on the TV had been glued on over the actual barcode that showed the TV at $209.00. Worse yet, the thieving customer had pilfered a glue gun from hardware to make the switch. The grateful store manager gave the observant cashier a free pie. Probably not worth getting shot over. A local electronics store advertised a doorbuster sale on a popular in-dash Kenwood stereo system. Alas, by the time one shopper got inside the store all on-sale stereos were out the door. He headed for his car to go to a neighboring city, 12 miles away, that had the same store. A glance in his rear-view told him that another shut-out Black Friday shopper was in hot pursuit. Finally, the pursuit car pulled even with the first shopper, who took matters into his own hands. He pulled out his glove compartment handgun (this is Tennessee, remember) and fired what he later described as a “warning shot” at the other driver. Unfortunately for lovers of good gunplay, a hidden state trooper noticed the speeding pair. He pulled the cars over and found the “warning shot” shell in the headliner of the second driver’s car…2.5 inches above his head. Nice purse, but worth a Tasing? Coach purses are the most valued handbag on the market and aren’t usually marked down by the store for any reason. However, one retailer inside Philadelphia’s Franklin Mills Mall decided to jump-start her Black Friday shoppers’ volume. She slashed the price on her Coach inventory. That put some of the City of Brotherly Love’s fashion-forward ladies in the starting blocks hours before the store’s 5 am opening bell. Angry words came out of frozen lips. At 4:59 the crush toward the door was at its most extreme. One shopper made room by Tasing the shopper ahead of her in line. Finally, one man joined the Black Friday queue without a retail thought on his mind. He bought an ICEE and intentionally spilled it on the floor. His plan worked a little too well, though, as he concussed himself when he walked back through the spilled drink and fell down. He lay in his own vomit until the ambulance came to take him to the hospital. A few days later his lawyer showed up at the store but quickly left when shown the security video. 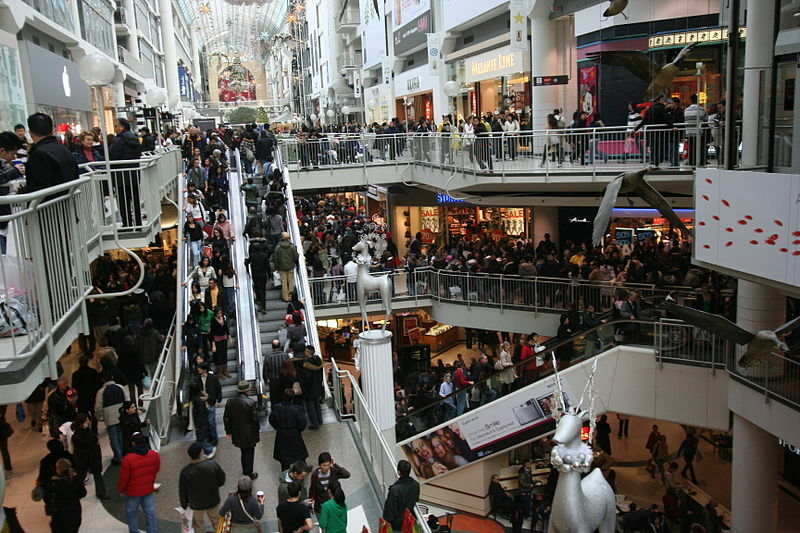 Enjoy yourself on Black Friday, but for heaven’s sake, play nice. It really and truly isn’t worth it. Gildshire wants to see you back here again, with all of your wits intact.